Seventeen nations. The only clues to help your student identify each one are their size/shape – from small Brunei to huge China – and the scrambled names of their capital cities. How many can you figure out? 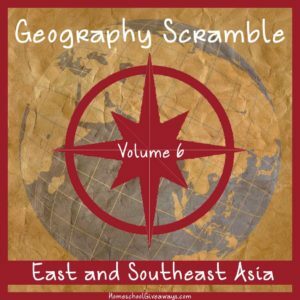 Try this free geography scramble and see for yourself!